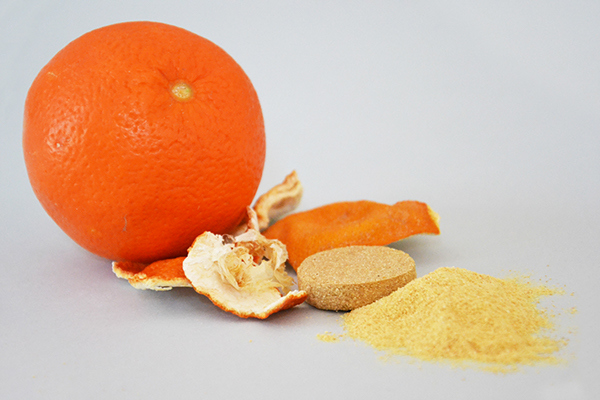 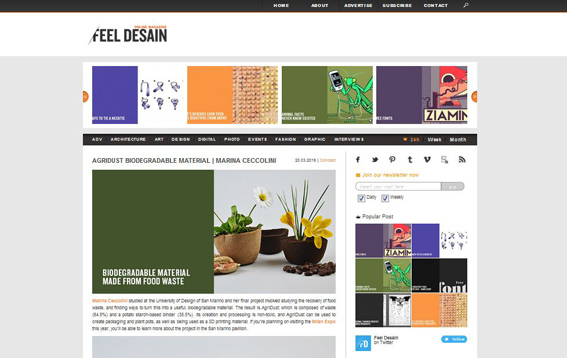 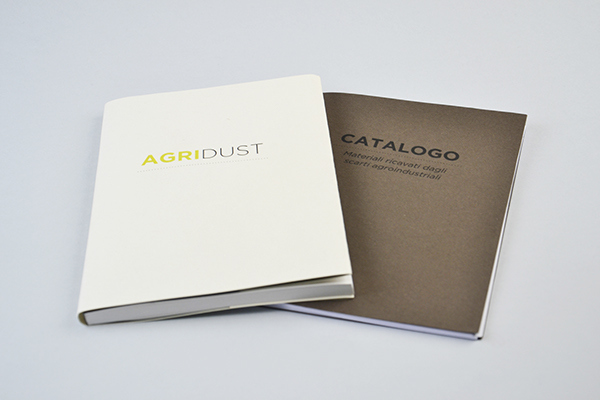 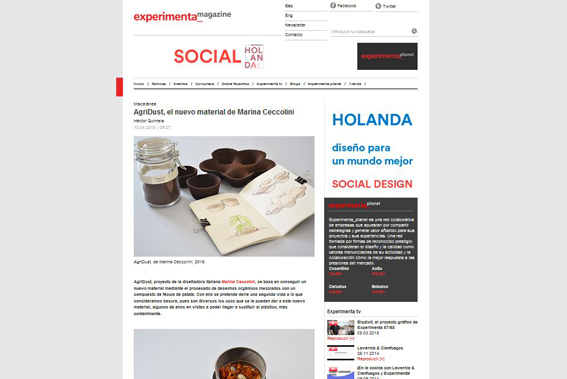 AgriDust is a project of recovery and valorization of waste fruit and vegetables. 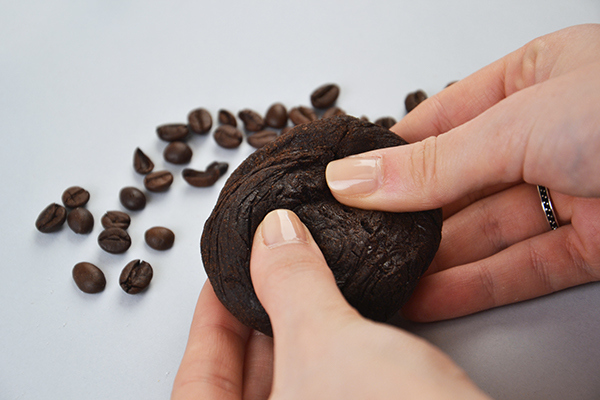 Working the six chosen waste (Coffee grounds, peanut shell, husk tomato, bean pod, orange waste and lemon waste), is born a biodegradable material and atoxic in all its process of creating and processing. 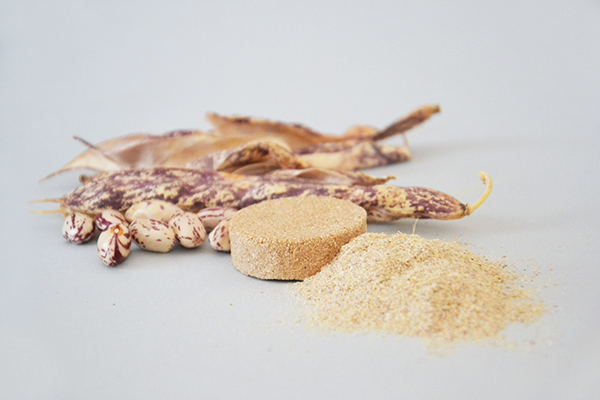 AgriDust can be used to create pots for plants and packaging, moreover using cold technology, lends itself as material for the printers 3D, where the classic extruder is substituted by a syringe. 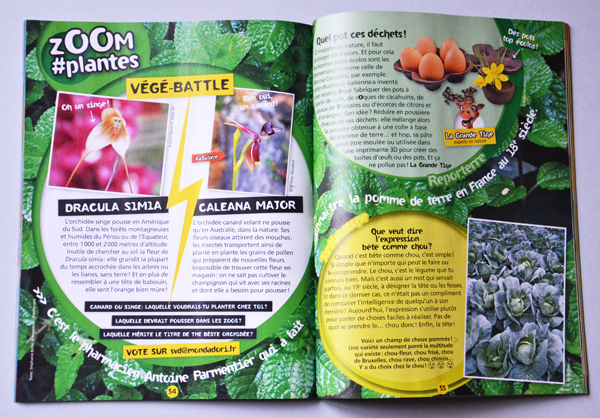 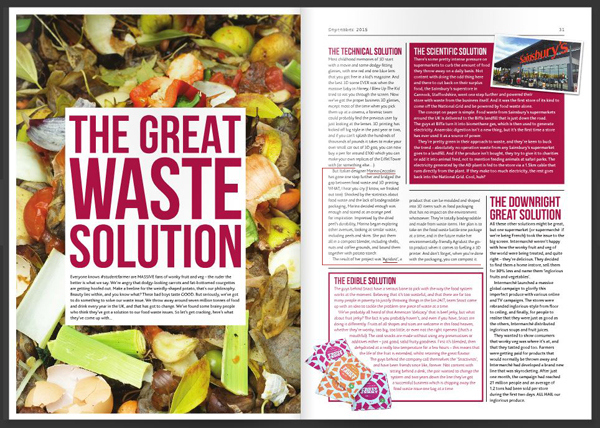 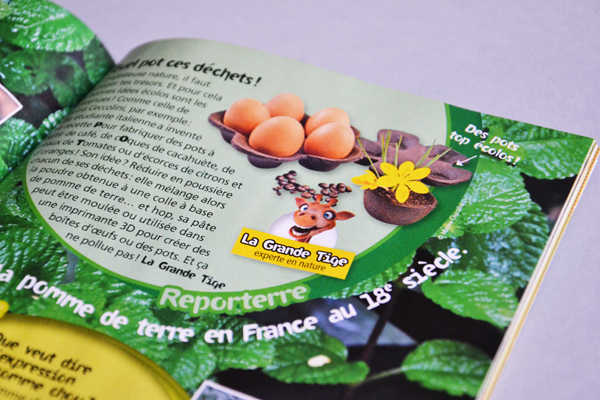 The article "quel pot ces déchets" is in the number 198-juin 2015, pag 55. 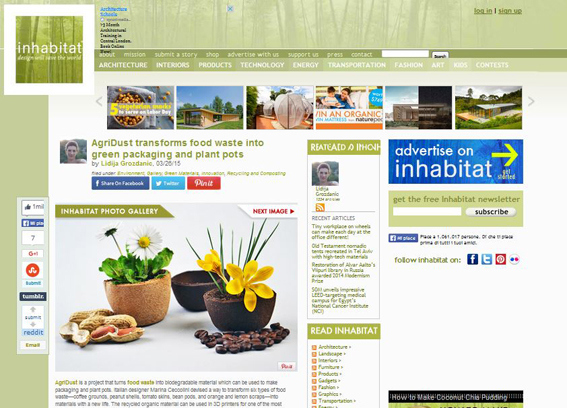 AgriDust is a project of recovery and valorization of waste fruit and vegetables. 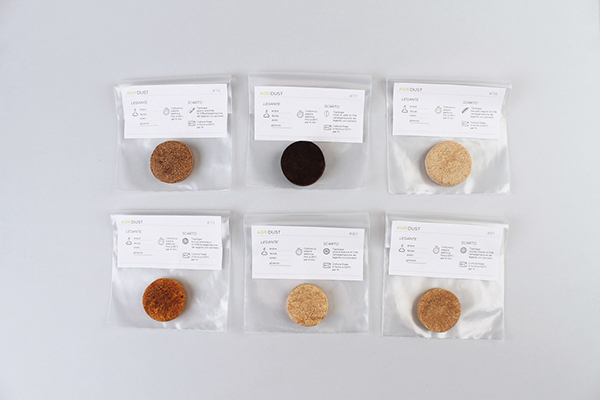 Working the six chosen waste (Coffee grounds, peanut shell, husk tomato, bean pod, orange waste and lemon waste), is born a biodegradable material and atoxic in all its process of creating and processing. 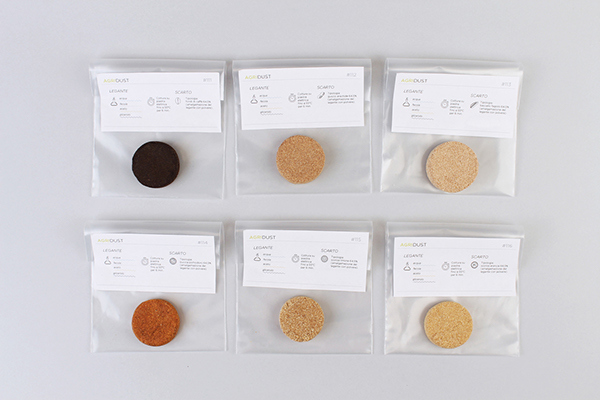 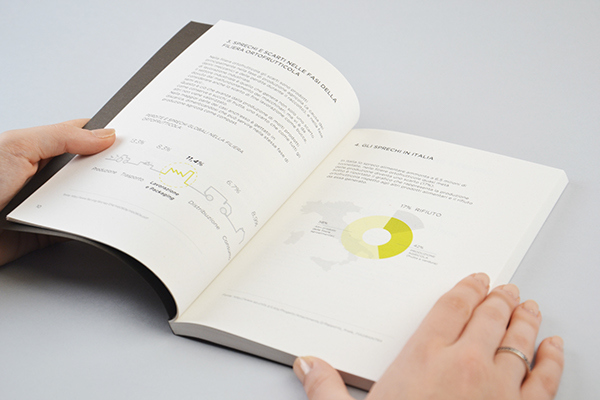 The material is costituited for the 64.5% from waste and the remaining 35.5% by a binder in basis of potato starch. 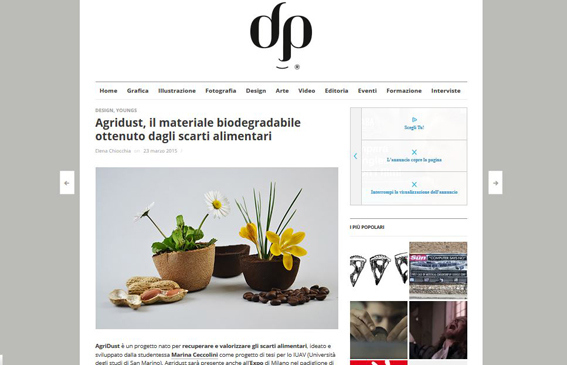 AgriDust can be used to create pots for plants and packaging, moreover using the technology to cold, lends itself as material for the printers 3D, where the classic extruder is substituted by a syringe.